A venue for traditional wingshooting will soon open, tailored specifically for women - and it's about time. Called the Ladies Shooting Syndicate, it's the brainchild of Blixt & Co. in Jackson Hole, Wyoming. 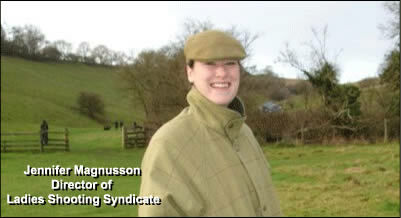 The Ladies Shooting Syndicate is by membership only. It organizes splendid shooting trips to luxurious destinations for like-minded women. In effect, Blixt & Co. has transported the Golden Age of Shooting into the 20th century for women with adventurous sensibilities.